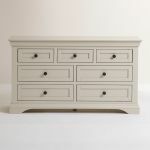 This versatile mid-tone grey wide chest of drawers from our Arlette range embraces classic shapes and modern finishes for a sophisticated finished piece. 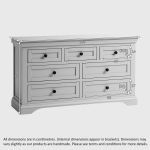 Constructed from solid hardwood, it's built with a high quality attention to detail, including dovetail joints on the drawers, and hardwood bases, backs and runners. 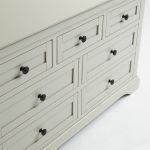 It's then finished with a smooth crisp coat of paint, with dark metal button knobs for contrast. 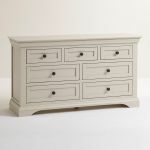 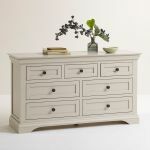 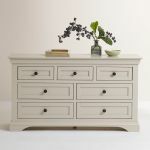 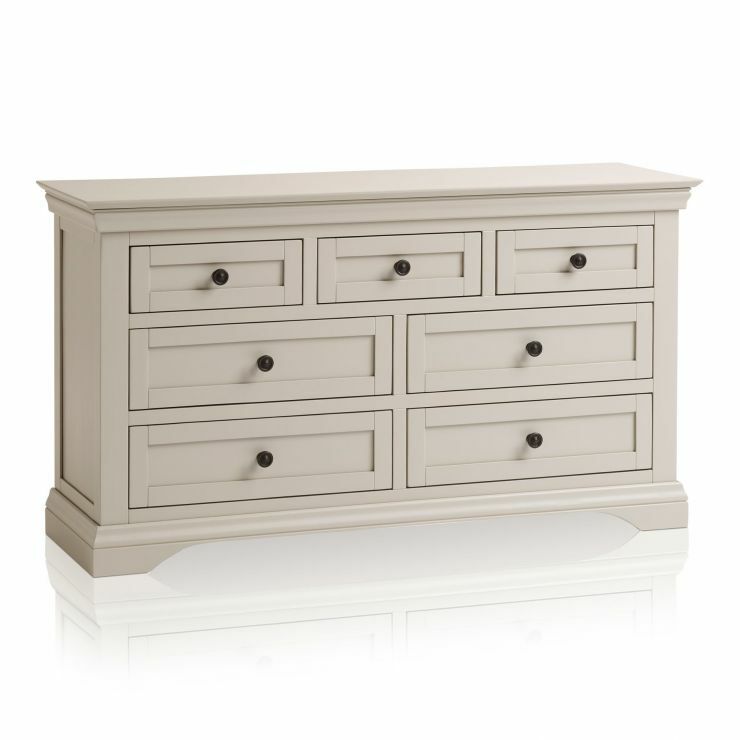 This grey wide chest of drawers boasts all the design details Arlette is known for, including the panelled drawer fronts, arched base, and top decorative cornice. 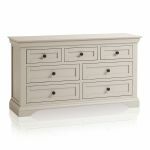 We also have an excellent selection of coordinating bedroom pieces, so shop the Arlette range to discover a great new look for your home.